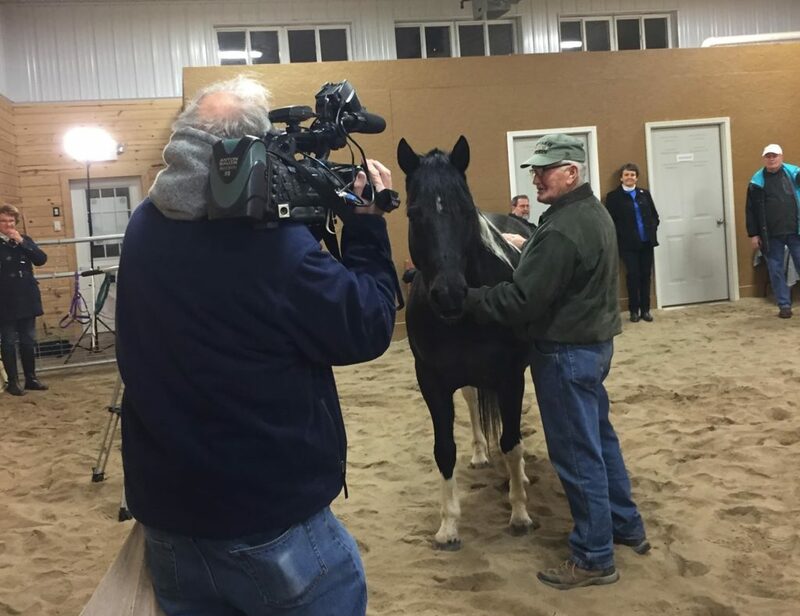 Gary Johnson handles a horse inside the arena he helped to construct that was later dedicated to him. 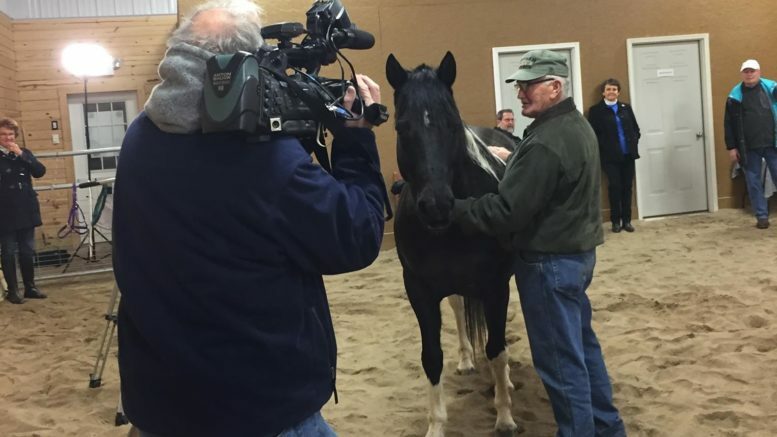 Attending a Marley’s Mission Blue Ribbon Gala inspired a Springville contractor to use his talents in the organization that provides equine-assisted psychotherapy to children. And for his work, Gary Johnson will be awarded the first Rebecca Haggerty Reins of Healing award at this years gala. He will be among a dozen individuals, organizations and businesses honored at the ninth annual event, hosted by Marley’s Mission, on Saturday, Feb. 16. Event proceeds will support the ongoing operations of the Mission, allowing services for children to be provided at no charge. Marley’s Mission provides equine-assisted psychotherapy and healing for children who have suffered emotional trauma at a facility in Newton Township, near Clarks Summit. The Mission got its start near Lake Ariel in 2010 and made the move to its current 63-acre campus in 2013. Marley’s Mission was named after a pet guinea pig owned by a nine-year-old victim of a brutal assault. The young girl had always wanted a horse, and when a horse was added to her therapy, an immediate recognizable change was observed. While the concept was simple enough, construction of a new facility in the course of a couple of months, however, almost overwhelmed Marley’s Mission founder and program director April Kemp. If not for the dedication and persistence of many volunteers, it could never have been done, Kemp maintains. Gary Johnson and his wife, Shirley, next to the dedication plaque on the exterior of the arena. Johnson attended a Mission gala with his daughter and wife and was immediately impressed by dedication demonstrated by associates from the board members to the counselors. He humbly maintains that he is but one of many small spokes on a very big wheel. The real heroes, he insists, are the people who work with the children every day, helping them to sort out their lives. The thousands of hours that Johnson dedicated to Marley’s Mission as the leader of its Building and Grounds Committee and as the volunteer construction manager for the new campus has been an inspiration to Kemp and others associated with the organization. On Saturday, the Mission’s Board of Directors will honor Johnson with the first Rebecca Haggerty Reins of Healing Award at the annual Blue Ribbon Gala. To learn more about Marley’s Mission, visit www.marleysmission.com. 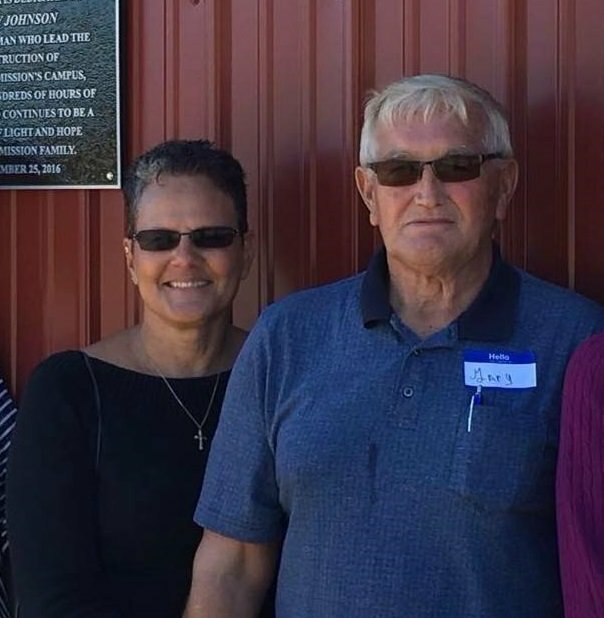 Be the first to comment on "Dedicated to a ‘mission’: Springville contractor to receive first Reins of Healing award from Marley’s Mission"